I’ve written numerous times before. I am a constituent of yours here in Texas but since I am not a big donor and not a big fan, I’m guessing you’ve ignored all my previous letters. I won’t be silent though; I love my country too much and I see so many ways that you are damaging and dividing us. Your fear mongering is a very foolish strategy and I have no doubt it will come back to bite you. 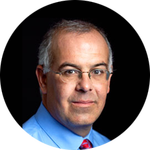 Have you seen David Brooks latest op-ed in the New York Times? It’s strong. And in my opinion, right on. Cruz lays down an atmosphere of apocalyptic fear. Cruz exploits and exaggerates fear. Cruz … sows bitterness, influences his followers to lose all sense of proportion and teaches them to answer hate with hate. This is what I see as well, what many of us see. Politicians who peddle fear may win some votes from those who are fearful, but this tactic completely disqualifies you from being president of the United States of America. True leaders acknowledge real problems and don’t shy away from real challenges but a true leader will always seek to motivate us citizens to deal with our fears by finding our courage. True leaders will model hope and will lead all the rest of us toward a hopeful future. My previous letters consider various ways that you and I interpret our shared Christian faith differently. On marriage equality. On immigration. On the separation of church and state. It disturbs me deeply that your version of Christianity demonstrates disdain instead of love, division instead of unity, self-centeredness instead compassion, self-righteousness instead of humility. This perversion of faith damages faith. David Brooks even called you out on this. Remember the Michael Wayne Haley case you took to the Supreme Court in 2004 when you were Texas Solicitor General? Brooks says this is one example among many that reveals your true character. These are not just Christian virtues; I would say they are values that are universal within the proper functioning of the human family. Evangelical Christians who applaud your violent rhetoric and your mean-spiritedness deny the very foundation of their faith. True faith is not primarily against (against abortion, against homosexuality, against plurality). True faith is always for (for life, for equity, for unity). 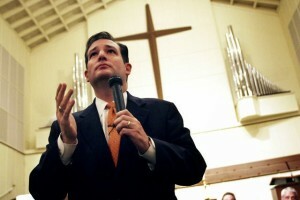 Senator Cruz, I beg you to return to the authentic roots of Conservatism and to the authentic practice of Christianity. If you continue your current course of fear mongering then I am convinced the fears you manufacture and exploit will eventually consume you. What scares me about Cruz candidacy is many people will see him as a preferable choice, because HE’S NOT TRUMP. But, he’s just as bad, if not worse. It scares me that Sen. Cruz and Donald Trump are so high in the polls. I wonder if these people have really become representative of our great nation? I hope not. I hope, like the Muslim radicals and the KKK, they merely represent only a few. We live in real angry times. People need to take a step back. Instead of focusing on things that divide us, look for those things that bring us together. To be a caring, loving, and peaceful person does not require being a member of any religion. I see this every day of my life. I watch so called “Christians” in my community, and they along with Sen Cruz make me constantly grateful I am an atheist. Yes, Larry, I know: too many Christians are not very Christian. But lots of us keep trying and we are grateful to be and to find partners in compassion wherever we can. That’s why I said in my blog: “humility, mercy, compassion and grace” … are not just Christian virtues; I would say they are values that are universal within the proper functioning of the human family. 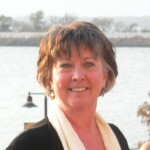 I know a minister colleague at a church in Austin TX who enjoys good relationships and shared service projects with their local atheist group. It takes all of us… Peace. Charlotte Coyle & David Brooks certainly resonate with me. Thank you, Charlotte. I am proud to call you both friend and colleague. I hope that Senator Cruz will hear your voice.